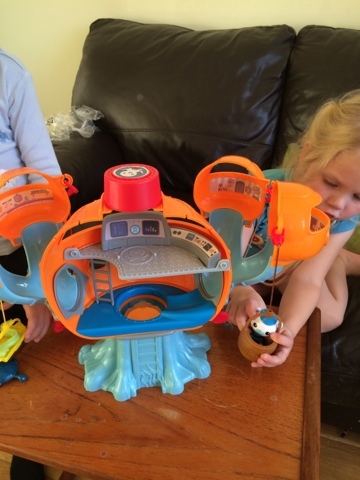 Blake and Maegan both really like the Octonauts - Blake's favourite animal is a Penguin so I know that's one of the reasons he's a big fan of the show! 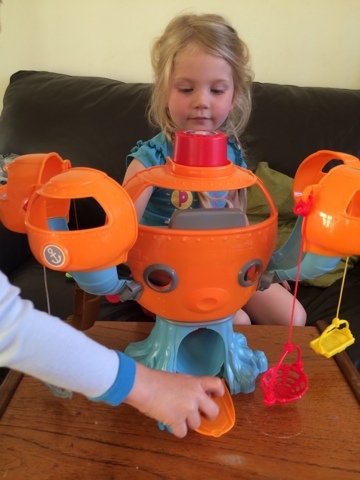 When Fisher-Price contacted me about reviewing the Octonauts Octopod Playset - I knew my two little people would be very excited! 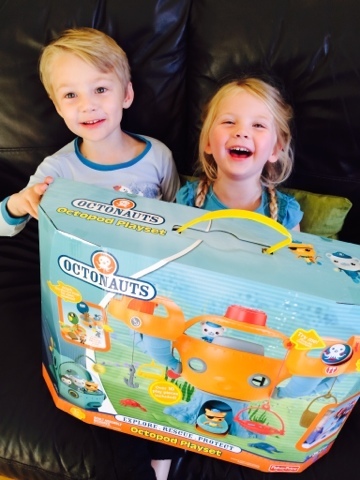 Blake (age 6) and Maegan (age 4) we're so happy with the new Octonauts Toys I just love the excitement on their lovely faces! It takes just a few minutes to stick on the decals and then click the room pods on and you are all ready to go! 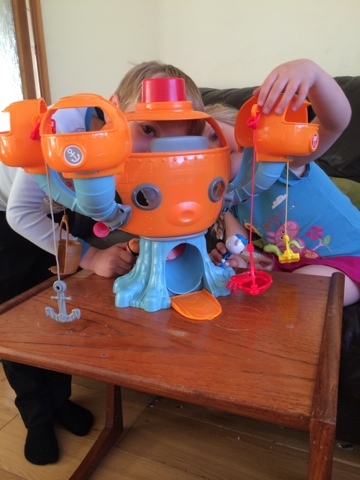 There is a lot to explore with the Octopod, there's a lot of detail here! The red bit on the top plays sounds and can come off to be carry around or clipped to clothes! 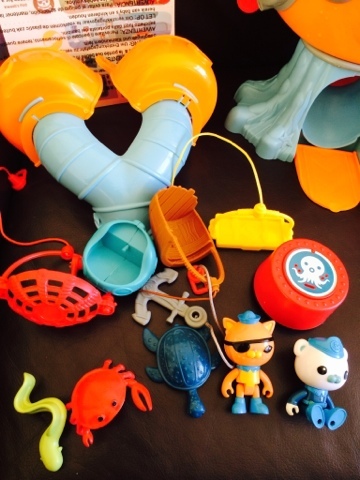 Blake and Meg loved showing each other all the parts they found! 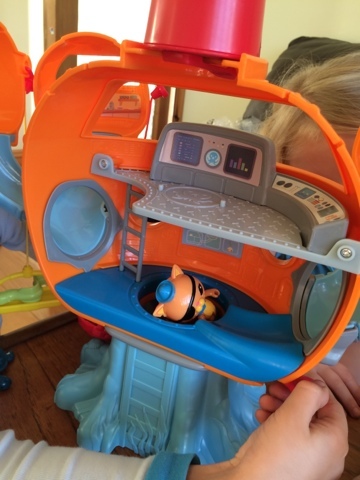 The Octonauts Octopod Playset comes with 2 main characters and 3 animals to rescue too. Look out for the slide chute - wheeee! 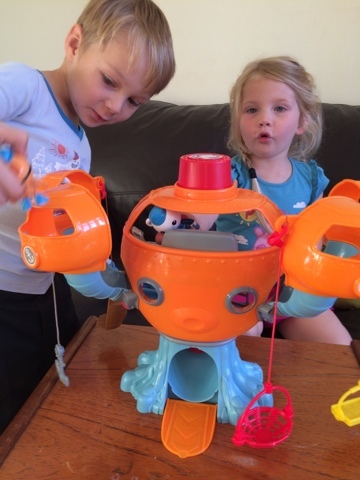 Maegan loves putting the characters in the basket to winch up! 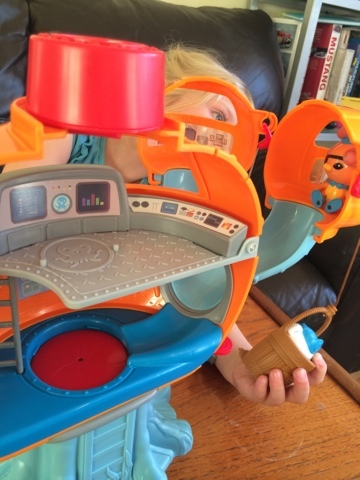 This playset gets a huge thumbs up from Blake and Maegan, is very well thought out, accurate to the TV show and has plenty to keep everyone playing nicely together!